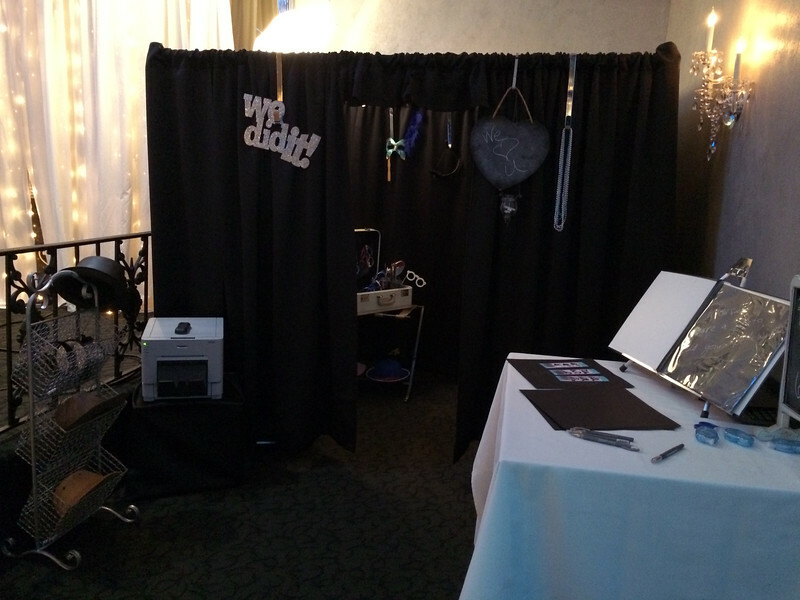 Using the Traditional Photo Booth at LaVera's Party Center. The venue provides enough space to set up a full 7' by 7' enclosure! The wedding party wore tiffany blue and silver.